When the call went out, on their cellphone network, dozens of butterfly lovers converged on the ‘Wall,’ all anxious to see the Tropical Hairstreak butterfly that had been spotted near the entrance to the Mission, Texas development. It happened again when the Gold-Bordered Hairstreak was spotted, nectaring nearby. The Gold Bordered drew a near mob, and earlier I shared how I was considered “selfish” when I came in low and close, for my Macro- lens cannot do its job at a distance of 10 feet. 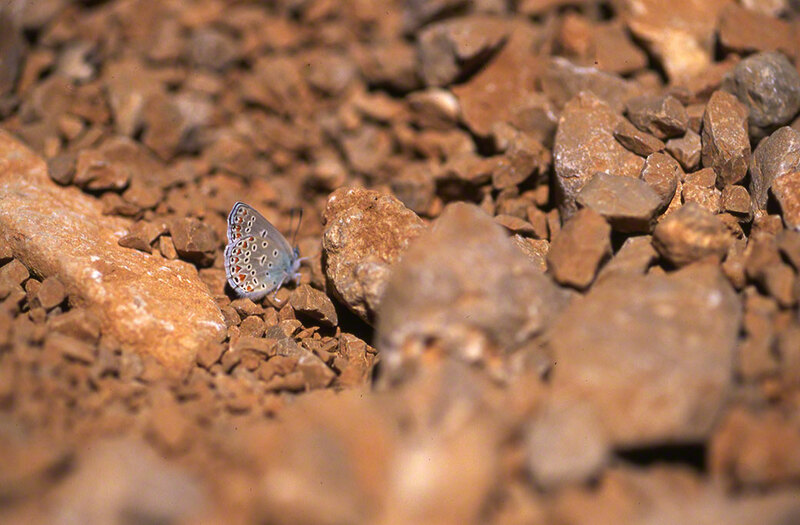 This Aricia agestis agestis butterfly on the peak of Mt. 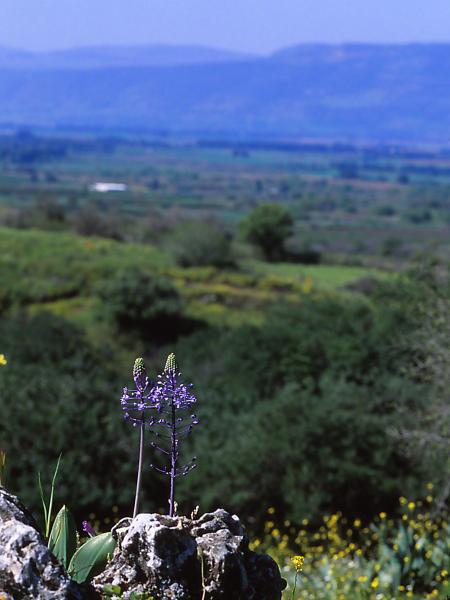 Hermon in the HolyLand suffered an audience of me and my guide, and Erin had sum zero interest in rare butterflies. Poor Aricia agestis, earning just the excitement of a single butterfly lover, on that overheated, high peak at the roof of Israel. Jeff overcame his concern of heights that day, when he and Eran rode the tram up those 7,000 feet to the peak of Mt. Hermon in the HolyLand. 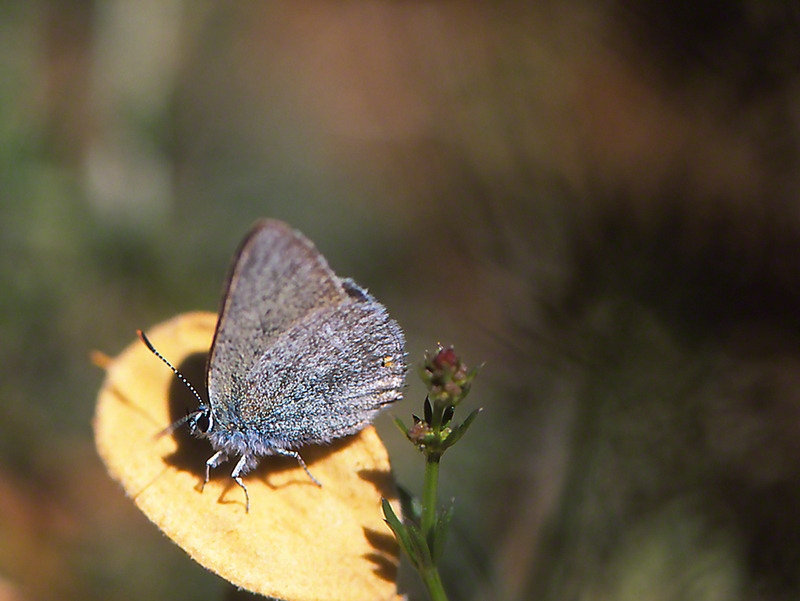 We trudged those miles across Hermon’s peak, to find some of the rarest butterflies in the world. We had no GPS, no guidance, no one who told us where to search. It was 95 degrees F that day, full sun on Hermon. Eran is a bull of a guide, and he carried some many liters of water for us. We were alone up there, except for a group of kids who came up later, briefly, and a German with his own guide, traversing this world birding site. That was good, for when good butterflies appeared, Jeff easily went off trail to follow them. Those trails were made by cattle, Arab cattle (Syrian or Israeli Arabs ?) that have cut those trails amidst the rock, for what, thousands of years? Off trail Jeff became on-trail Jeff when later in the day, Eran call me over to show me a land mine that had been missed by the sappers who clear those tools of war. Did we? Yes. We saw many rare butterflies, including Parnassius mnemosyne syra, shown here. She incredibly closely related to the swallowtail butterflies! I love this image, and I remember this moment. It’s been years, and I want to go back. Problem is that war is raging just down the north slope of Mt. Hermon, and some of the most notorious mass murderers on this planet are down there, seeking to kill. If I could return to that mountain peak, with its extraordinary butterflies and habitat . . . would you go too? How many years have gone by since I met this rare, Protected HolyLand butterfly? Ten. It was in 2008, Rachel’s Mother, Frieda A”H passed away on January 4. Before she left us, Frieda, some weeks before we lost her, urged Rachel to fulfill her plans, and go to Israel. Rachel was headed to Tel Aviv to join the Public Accounting Firm of Ernest & Young. Rachel, shrewd as she always was, told her Mom that she would stay by her side, and wave off the excellent job offer. Frieda remained strong to the very end, and in her way, told Rachel Go! Rachel, just 2 weeks after Frieda died, was flying to Israel. Me? Frieda’s loss changed me much. My concerns about dying pretty much evaporated. Maybe that’s why I made this trip? I wanted to visit Rachel, just 6 months later, see her new apartment, and show our extended family in Israel that we supported Rachel. Rachel met Uri at about that time, and fast forward to today, they have 2 sons, and Rachel is Happy. Very. My resolve to bust out some, after that horrific 7+ years, nourished my decision to hire Eran Banker, who guided me up to the top of Mt. Hermon. I gulped and rode the 7,000 foot cable car to the top of the mountain peak. Mt. 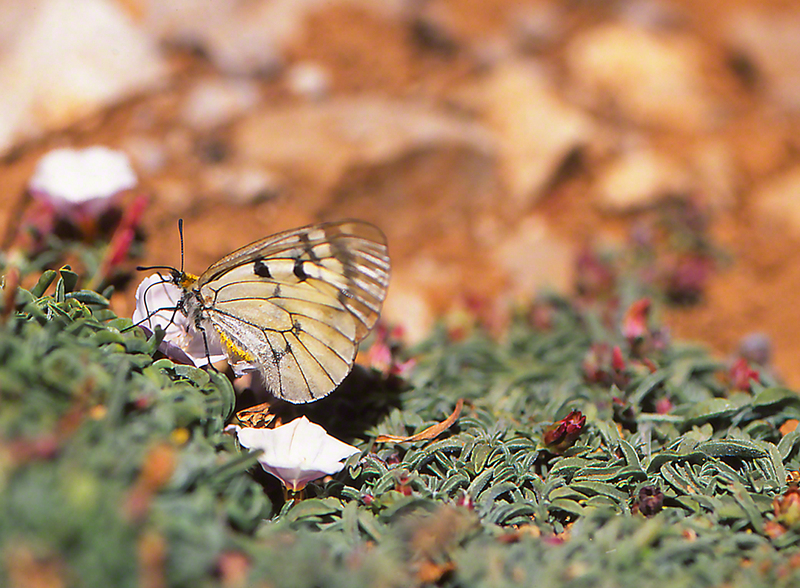 Hermon is known to be the only place in the world for some 12 species of butterfly. I could not have known then, that the north face of Mt. Hermon would today be a Hot! battlefield, with absolute carnage, boiling up just where Eran and I looked down on Syria from our mountaintop perch. For an unlikely street fighter from Brooklyn, who managed to make it, and married Good, So very Good, and who withstood deceit from trusted associates, and who . . . finding the rarest of the rare on a fabled mountain of the Bible, with the sun lashing us with its 95F waves, greeting these extraordinary butterflies was so very Special. I thought up there, Thank You G-d, for dishing out Yo-r most special butterflies, to one so vulnerable, as I was there and then. Honest.